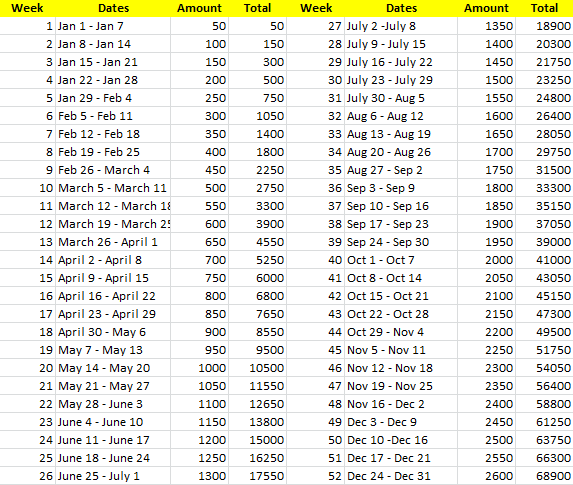 Kuripot Pinay: My 52 Week Money Challenge: Challenge Accepted! 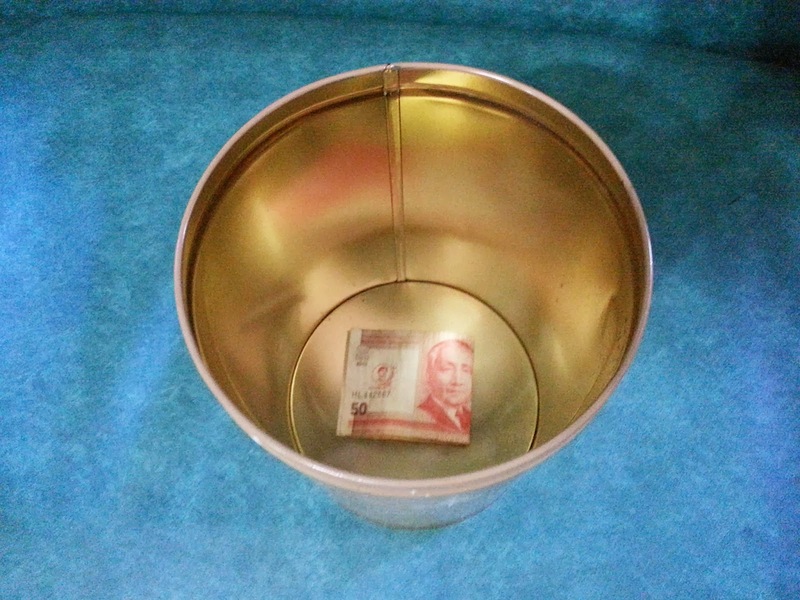 My 52 Week Money Challenge: Challenge Accepted! I want to say THANK YOU THANK YOU THANK YOU (caps lock for emphasis talaga!) for embracing the 52 Week Money Challenge. What overwhelms me is that many are already doing this be it the 50s increment, 5s, 10s or what. Regardless of what your motivation is be it funding your 2014 holidays, a new gadget, family travel, funding your mutual funds, stocks, you are in the right track of saving my friend. Give yourself a pat in the back. How about some applause! Hence, it would be appropriate that I will also do this. So I dare say, challenge accepted! Can’t wait for December this year that I can be able to save as much as P68,900. Can’t help but grin when I think about this. So here’s my personal checklist for the challenge. Goal: My goal is to buy a designer bag. Don’t bash me on this, we have our own reasons. The rest of the amount would be funded to my stocks. Piggybank. I don’t want to buy a glass container or a new piggybank for this (insert me being kuripot obviously). So the best thing to do is to recycle. I got this container a few years ago and it still looks good. So introducing my container for the 52 Week Money Challenge. 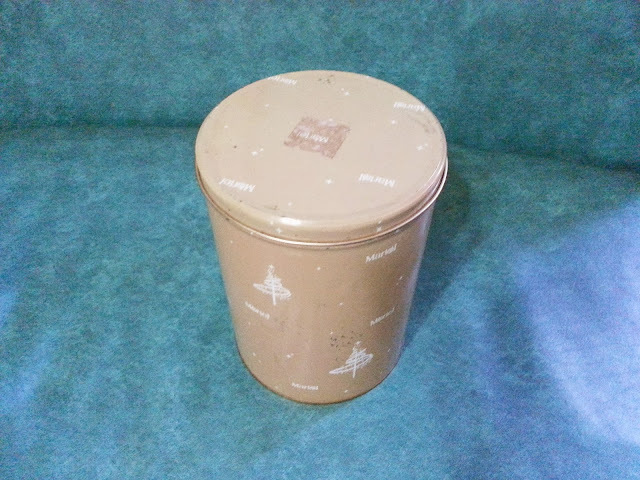 I hope you will serve me well container. Template. Haven’t printed one yet but I promise I will and post it so I can keep track of my savings. Since it is the first week, alas the P50.00 I folded it neatly so it would look photogenic here. I'm so happy to share that a few friends of mine are motivated as well to save this way. Here's a picture of a friend's piggybank. More than the thank yous and appreciation, I want to say good luck to us who are venturing into the 52 Week Money Challenge. May we be filled with the right motivation to continue this all year long and not be persuaded to get a few bucks as we go along. Good luck to us! If you have pictures of your piggybank that you would like to share, feel free to tag me @jurinsthea on Twitter and Instagram. Who knows your photo might influence another individual to save this year. And you can be an instrument of change to them.